In April of 1838, Rev John Ekin purchased a three-year old frame house on a 20 acre tract from Samuel McGinness in Robinson Township, Pennsylvania, roughly 10 miles west of Pittsburgh. On November seventh of that year, he and his new bride, Esther, set up their first home together. Two years later, they welcomed Helen, the first of six children, to their family. Robinson Township, Pennsylvania as it looks today. Among the Ekins neighbors in the community were William and Ellen Starrett. William was a successful builder in Pittsburgh, and the families became friends. One of William and Ellen’s sons, also named William, formed a lasting friendship with Helen. Jefferson College, Pittsburgh, PA. Jefferson College is now part of Washington & Jefferson College, one of the oldest institutions of higher learning in Pennsylvania. 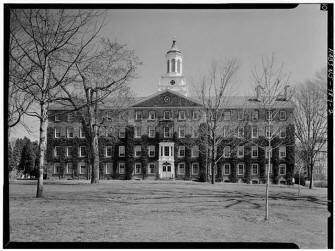 In 1854, William Aiken Starrett was admitted to Jefferson College. His father died that year, leaving Ellen as the family’s provider. 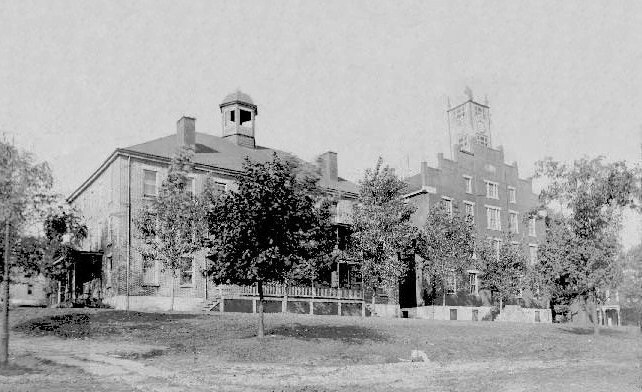 William worked through college as a teacher, graduating with honors in 1858. He then sought guidance from their family friend, Rev John Ekin, who persuaded him to apply to Princeton Theological Seminary. Since Helen’s father was a religious man with a high regard for education, I assume he was aware of William and Helen’s relationship, so the idea of a “Rev Starrett” probably sounded good to him. William took his advice and began to study for the ministry. It’s rumored that before Helen left for Kentucky, the two became engaged. He graduated in from Princeton in the spring of 1862. Princeton Theological Seminary in Princeton, New Jersey. It is the second oldest Seminary in the United States, and was founded in 1812. It is the largest Presbyterian seminary in the United States. As the newly ordained Reverend William Aiken Starrett was beginning his job search, the seminary president received a call from Leavenworth, Kansas for a graduate to serve as a military chaplain on the frontier. William was chosen for the three-month position, but just before he left, he learned that his brother, Andrew, had been injured in the Battle of Seven Pines at Fair Oaks. He rushed to Philadelphia only to find that his badly injured brother had been sent to New Haven, Connecticut, so her rushed to find him. Sadly, on August 6, 1862, Andrew Starrett died of his wounds. William brought his remains to Robinson Township and had him buried next to their father. William then went to Leavenworth, Kansas. Bleeding Kansas. Kansas was a brutal place in 1863. Unlike other battlegrounds during the Civil War, fighting on the Missouri/Kansas border had become a savage, guerilla conflict. The bitter rivalry between the slave state of Missouri and the free state of Kansas had become incredibly dangerous and unpredictable. 941 Rhode Island Street, Lawrence, Kansas as the home appeared in Paul Starrett’s 1938 autobiography “Changing the Skyline.” The Historic Hendry Home was spared the torch during Quantrill’s Massacre in 1863. Good thing, because my great great grandfather was inside, a temporary visiting chaplain from Leavenworth, Kansas. 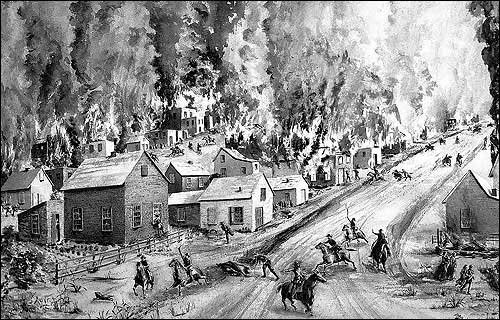 Leavenworth was 25 miles from Lawrence, the epicenter of the fire-storm of violence. Kansas was a free state, and Lawrence was widely known for its outspoken abolitionist and political activity. For years, groups on either side of the Kansas-Missouri border viciously attacked each other. Rumors had circulated for years that William Quantrill and his raiders were planning an attack on Lawrence. But by 1863, none of the threats had materialized, and the town had grown complacent. A small military detachment had gone to Lawrence, their chaplain included. Reverend Starrett had secured lodging at 941 Rhode Island Street, presumably with Judge James M Hendry and his wife, Rebecca, owners of the home. William Clark Quantrill. I usually like to post pictures with my posts, but I had a hard time with this one. This man so thoroughly disgusts me. But, in the end, journalism prevailed. Just remember– 185-200 men ambushed and slaughtered. In front of their wives and children. William Clarke Quantrill was notorious. A ruthless Confederate guerilla leader during the Civil War, Quantrill and his loyal band of pro-Confederate raiders carried out some of the more heinous atrocities in American history. 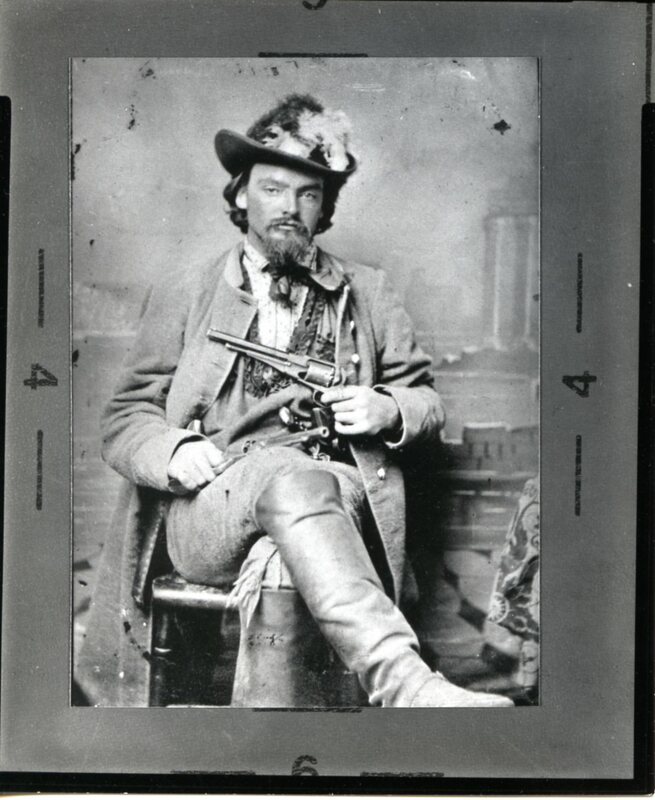 Members of his organization included men such as the Younger brothers, Frank and Jesse James, and William T “Bloody Bill” Anderson. Lawrence as Quantrill and his Raiders pillaged and burned the town. The ONLY nice thing I have to say is that his men were instructed NOT to harm the women and children, and by all accounts, they abided by his orders. Planning began sometime during the summer. Quantrill’s informants had been able to pinpoint exactly when the city of Lawrence—the epicenter of the anti-slavery movement— would be its most vulnerable. Before dawn on August 21, 1863, Quantrill gave the order, and approximately 450 armed men rode into Lawrence with a list of men to be killed and buildings to be burned. They were under strict instructions not to harm any women or children—but every man would be shot on sight, his house set on fire, and the entire downtown looted and torched. Depiction of the horrors of Quantrill’s Raid on Lawrence in 1863. This image was widely circulated in the days following the murderous and destructive raid. Moore than 185 men lost their lives that morning. By 9:00 am—less than three hours later— the raiders had pillaged the town and killed between 185 and 200 men and boys. Only two businesses had been spared—the rest had been burned to the ground. Homes were looted and burned, the banks were emptied, shops picked clean and set ablaze. Husbands were shot in front of their wives, fathers murdered as their children watched. The men and boys riding with Bloody Bill Anderson’s group accounted for the most savage of the killings. The barbarity of the murders was horrifying. Less than four hours from when they arrived, the raiders rode out of town, scattering as they fled. Kate D. E. Riggs spoke of Reverend William Aiken Starrett in her documented recollection of the Raid for her grandchildren.She wrote her account of the massacre and the days that followed so that her grandchildren would be interested in this part of their family history. I am grateful to her for putting this on paper as well, because I was happy to know that my great grandfather was of help to those who needed him at such a terrible time. By the grace of God, the military chaplain avoided his death that morning, and the Hendry home was spared the torch. William Aiken Starrett’s exact whereabouts during the raid are unknown, but in the days following he was a comfort to the survivors. Survivor Kate Riggs describes how the Rev Mr Starrett had come to her home to sit with the wounded son of a neighbor. While he was at her home, the armory bell began to ring, alerting the men in the town that enemies had been spotted nearby. Before she could say a word, Rev Starrett had raced out the front door, off to aid the men and Lawrence in their defense. In the days following Quantrill’s Massacre of Lawrence, Rev Starrett became both a spiritual guide and a welcomed new member of their community. 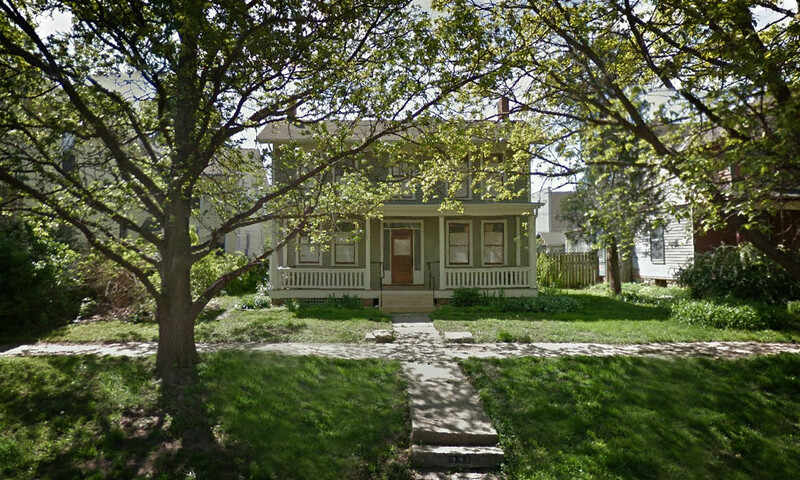 941 Rhode Island Street, Lawrence, Kansas as it appears today. The Historic Hendry House is a Kansas Landmark, a Lawrence Landmark, and the home is a contributing structure in the Rhode Island Street Historical Residential District on the National Register of Historic Places (#04000686). Reaction was swift. Union soldiers were quickly dispatched as Quantrill and his men fled south and west towards Texas and Mexico. Sixteen days later, the elders of the Presbyterian Church in Lawrence officially asked Rev Starrett to remain as pastor in their community. After all they had been through together, I think William found it hard to say no. He accepted, and set to work rebuilding the town. 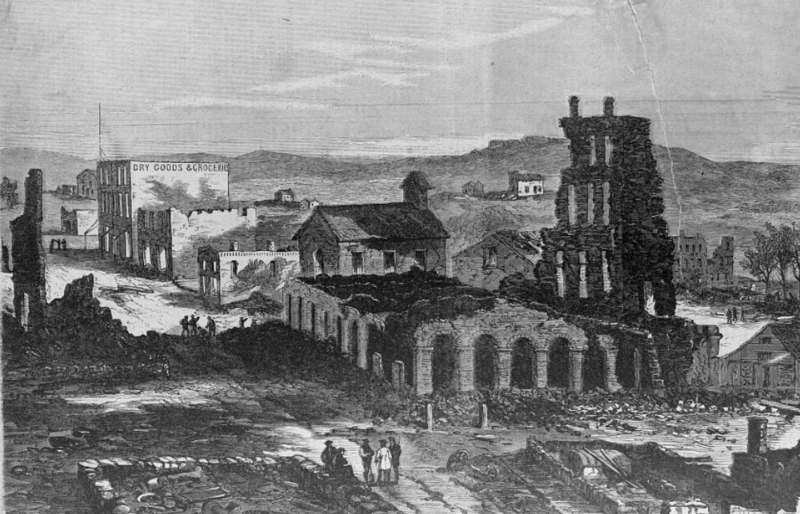 Lawrence, Kansas as it appeared in the days following Quantrill’s Raid. The entire Downtown District was burned to the ground. Only two buildings stood when the raiders rode out of town. William worked with the townspeople to bury their loved ones and begin the cleanup and rebuilding of their town. In January of 1864, the First Presbyterian Church held an installation dinner in honor of their new pastor. Once he was officially in his position, he rented four rooms in one of the largest homes in downtown Lawrence and set off for Ohio to claim his bride. 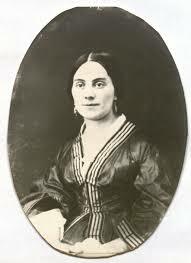 Helen and William were married on February 15, 1864 in Xenia, Ohio.